IVQG members displayed their charity baby quilts at the 2018 IVQG Quilt Show at Celebrations 150. 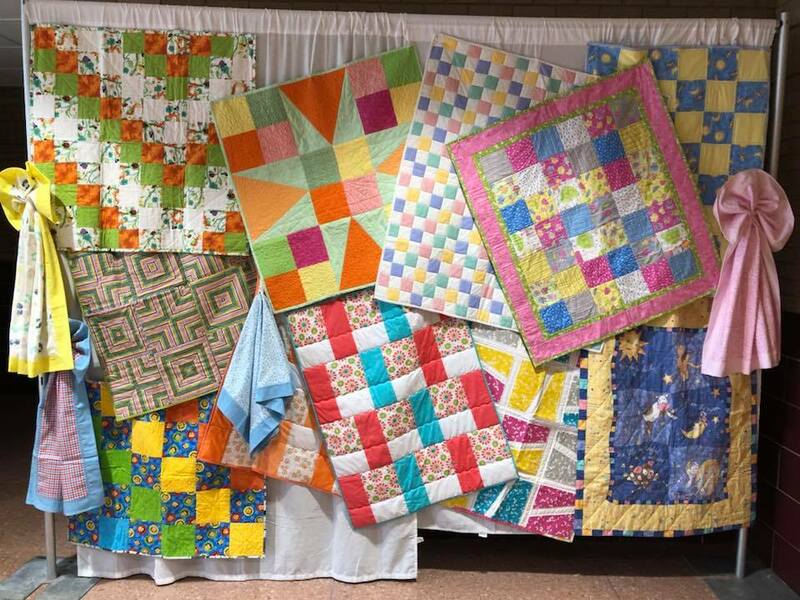 These quilts were donated to the maternity ward at OSF St. Elizabeth Hospital in July of 2018. The maternity ward at our local hospital in Ottawa, IL has asked for baby blankets for families in need. Pictured above are some simple self-binding baby blankets that don't take long to make! Contact ivqg@ymail.com if you would like to help! Several baby quilts were donated to the maternity ward at OSF St. Elizabeth Hospital in Ottawa, IL in July of 2018. Pictured here are Dr. Dave and Nurse Sandra Crawley receiving the quilts. IVQG members donated handmade flannel baby blankets to OSF Saint Elizabeth Medical Center.